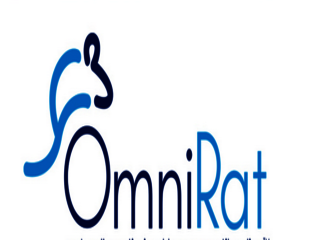 OmniRAT is a Remote Access Trojan (RAT) on sale for only $25 and with which you can control (and spy) Android and Windows, Mac or Linux devices. A couple of weeks ago the European police were carrying out a pair of dozens of home records and arrests by the abuse of DroidJack. A “tool” of remote access in “legal” principle, but which can be used for malicious or spying purposes because it’s a Trojan remote access that allows total control away from an Android device. If DroidJack is a ‘tool’ that works only on Android and is sold at a price higher than the $200, the firm Avast has issued an alert about OmniRAT, another very similar performance of Trojan remote access but in addition to Android is able to control Windows, Mac and Linux devices and it is available for one-tenth of what it costs DroidJack, $25. Once installed, retrieves detailed information about the services and processes that run on the device, recorded calls or messages, display the recorded by cameras, as transmitted by the microphone, can view and delete browsing history, control the location using the GPS, execute commands etc. Absolutely everything. Avast describes OmniRAT as a “remote administration tool” and certainly can be used for legitimate purposes, by the owners of devices where you install or by others with your consent. The problem is that in other hands what it can spend it is the described thing, as little spying and loss of the control of the terminal.